Do you grow plants from seed? 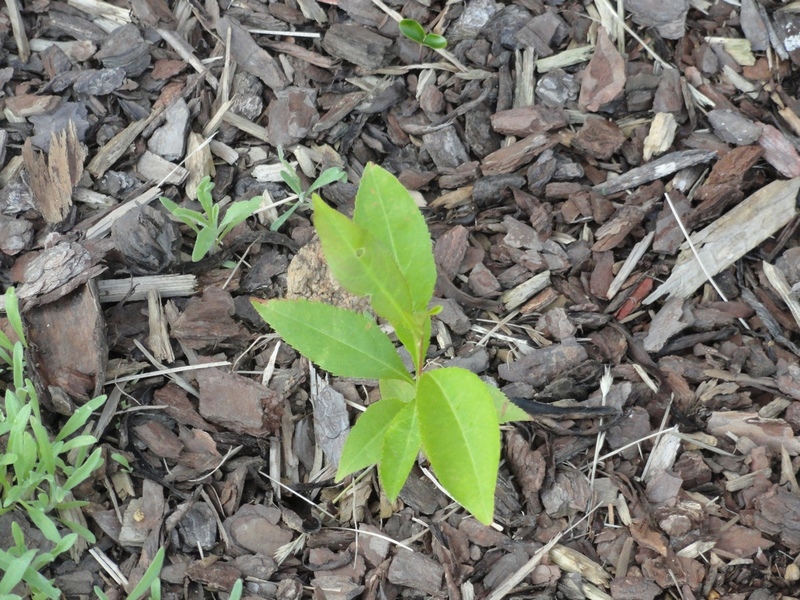 If so, then you know it can sometimes be hard to figure out what is a seedling that you sowed and what might be a weed. 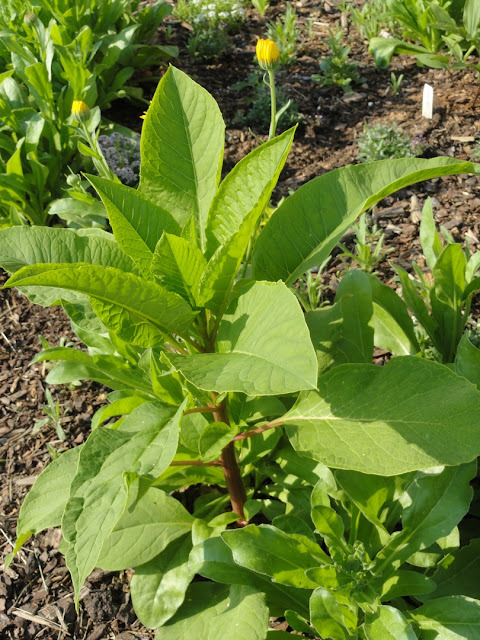 Other times you know that the seedling isn't something you sowed, but you're still not sure whether it might be a valuable volunteer plant or something with the potential to take over garden. With that in mind, I contacted a horticultural source at the University of Tennessee to ask her help in five types of seedlings that had popped up in my garden beds. After warning me that she is not specifically a weed expert, she very generously gave me her opinions and permission to publish them on this blog. Can you guess the identity of each plant without checking her answers? 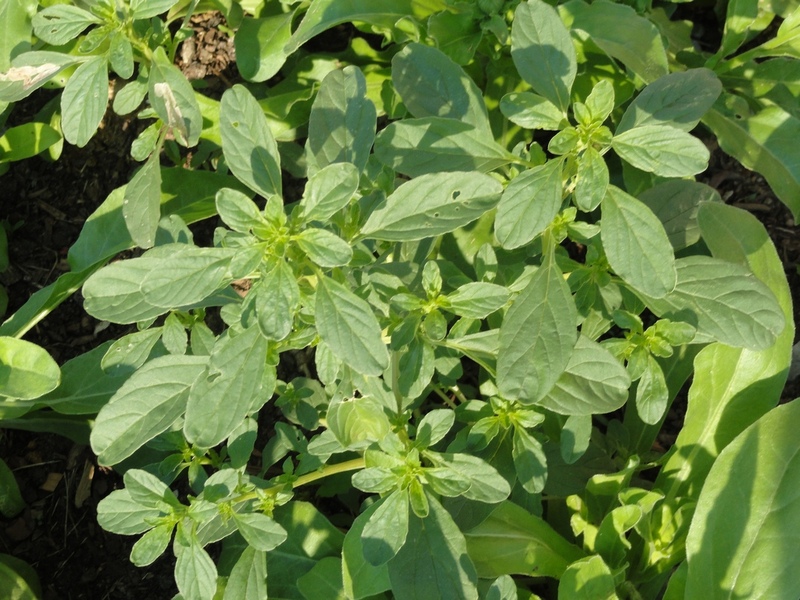 Possible ID: My friend suggested this might be smooth pigweed. Based on photos I've seen online, I'm not sure that's right. (Although I think I've got a smooth pigweed seedling growing in the garden bed right now.) Whatever this was, it grew really fast and there were perhaps half a dozen of them scattered in the garden web. My friend's advice was to pull it. I did. 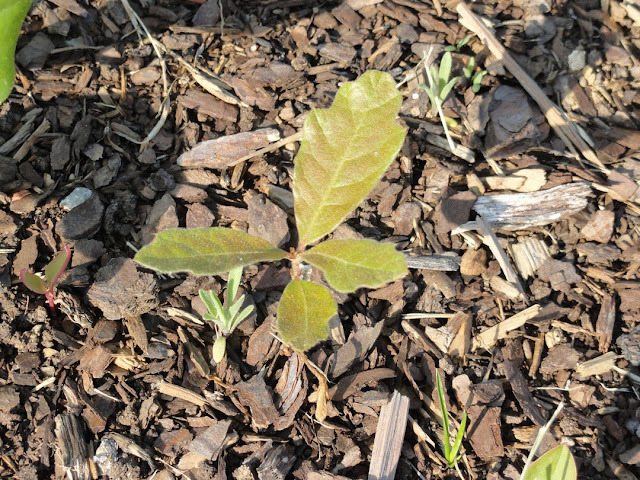 Possible ID: Oak tree seedling, according to my friend. I should have guessed. We do have a gigantic oak tree in our front yard. I pulled a lot of seedlings from the lawn last year, but not so many this year despite the fact that we had a bumper acorn crop last fall. Possible ID: Some sort of tree seedling. I would have let it grow, but it was right next to the house and I figured that I didn't have space for a tree right there, so I pulled it. I still feel a little conflicted about this. Should I have let it grow a bit and then tried to transplant it? Possible ID: My friend thought this might be a box elder seedling, but she wasn't sure. Not wanting to take changes (nor wanting to grow a tree next to the house), I pulled it. Update (7/6/12) - A commenter has identified culprit #5 as a grape vine seedling. Do you think that we misidentified any of these plants? Or do you have seedlings popping up that you can't identify either? If so, feel free to leave a comment or send me a photo and I'll try to help identify it! The bottom picture is a grape vine. @stone - Thanks for the comment and the ID! 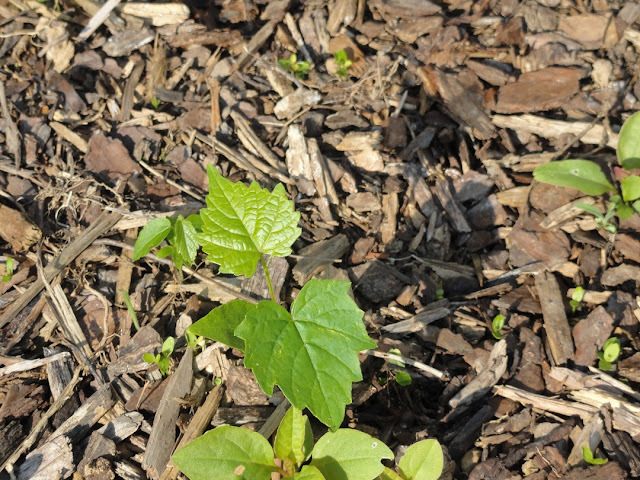 This may be a ridiculous question, but how can you differentiate a grape vine seedling from poison ivy? And is there any value to letting wild grapes grow in a landscape? The grapevine has a grape leaf. Poison ivy has poison ivy leaves. If you had them side by side, the difference is readily apparent. As far as value... You can certainly eat the grapes, the deer eat the vine, birds eat the grapes.